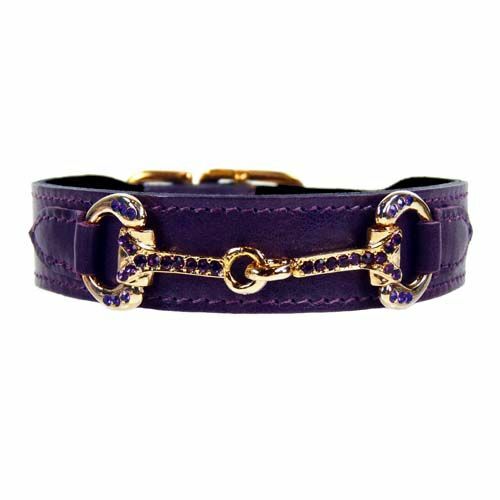 A beautiful classic purple leather dog collar, handmade, with original Swarovski crystals and polished with with 22 carat gold plate. A breathtaking purple leather dog collar, that is made entirely by hand from 100% Italian leather. The collar is magnificently decorated with a decoration in the shape of a horse bit, which is polished with 22 carat gold plate and is trimmed with original amethyst Swarovski crystals. This collar is a highlight in the collection of Hartman & Rose, which has already drawn worldwide attention.